there’s a wild designer obsession with Helvetica. i’d love to be original, but i have to give in, and can’t stop my lovin’ feeling. helvetica is quite possibly my favorite (designer) drug, every perfectly graphed H and V being an ounce of court-specific poison. yep, i, like millions of other graphic designers out there, am quite the fiend for it. i’m always charging at the bit to find the perfect project to use Helvetica with absolute necessity. perhaps that’s why i’m beginning my new year playing with it all throughout January for my little blog. why do designers love it so? it’s clean, it’s minimalist, it’s dependable, so cool your dog would read it’s energy and have a new friend for life, it’s PERFECT. dare i say, if i was a typeface (Pentagram says i’m Cooper Black Italic – really?) Helvetica and i would totally make out. 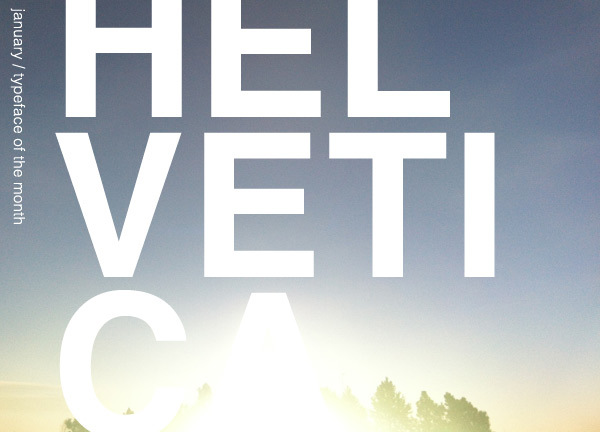 if you haven’t caught it yet, dive in to the Helvetica phenomenon and check out the movie (available on Netflix! ).